It’s a while since I read a story from the Library of America‘s (LOA) Story of the Week program, but when I saw Harriet Ann Jacobs’ story “The lover” appear in its list of Top 10 stories from 2013 I felt it was time to rectify my tardiness – particularly with the movie, 12 Years a Slave, about to be released here. This story is, in fact, a chapter from her memoir Incidents in the life of a slave girl. Last year was the bicentenary of Jacobs’ birth. Her mother died when she was 6 years old, making her an orphan-slave. Her first masters, LOA says, taught her to read and write, but that mistress died when Jacobs was 12, and she was left in the will to a 3-year-old! That brought her into “a household that introduced her to the true barbarities of slavery”. Jacobs eventually escaped to the north in 1842, when she was nearly 30 years old. Her memoir was published in 1861 by best-selling author of the time Lydia Marie Child, under the pseudonym, Linda Brent. According to LOA, the book and its author enjoyed some minor celebrity in the north at the time, but disappeared pretty quickly, probably due to its being “overwhelmed by the war and later by emancipation”. LOA goes on to say that it was then “largely forgotten”. Most academics, they say, believed it had been written by Child, suggesting that it may have been “loosely based on Jacobs’s life but ‘too melodramatic’ … to be an actual slave narrative”. However, in 1971, historian Jean Fagan Yellin uncovered the truth of its authorship. 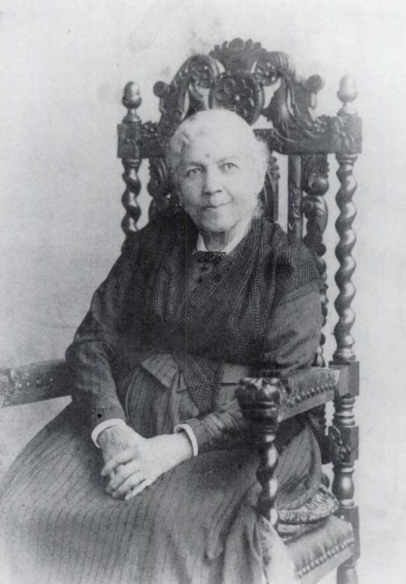 She eventually published a biography of Jacobs in 2005, Harriet Jacobs: A life. Why does the slave ever love? Why allow the tendrils of the heart to twine around an object which may at any moment be wrenched away by the hand of violence? When separations come by the hand of death, the pious soul can bow in resignation, and say, “Not my will, but thine be done, O Lord?” But when the ruthless hand of man strikes the blow, regardless of the misery he causes, it is hard to be submissive. I did not reason thus when I was a young girl. Youth will be youth. I loved, and I indulged the hope that the dark clouds around me would turn out a bright thing. I forgot that in the land of my birth the shadows are too dense for light to penetrate. I love the way this paragraph confirms that the young-in-love are the same at any time, in any place. Hopeful. Optimistic. How universal. But, how not universal was the situation Jacobs found herself in! She goes on to tell how she’d fallen in love with “a young colored carpenter; a free-born man” in her neighbourhood. She loved him “with all the ardor of a young girl’s first love”. He proposed to her and wanted to buy her from her masters. Knowing her masters, Jacobs held out little hope for his success, but writes of how “this love-dream had been my support through many trials”. So, she enlisted a sympathetic white woman to plead her case. How nice to read that there were sympathetic white people. Of course the white woman had little to lose other than perhaps the respect and friendship of her peers. I won’t tell you the rest of the story. It’s short and is more powerful in her own words. You can read it at the link below. So, I checked. Brooks did, it seems, draw from Jacobs’ book to create her slave character. Now I feel I should read Jacobs’ whole book. First published: As Chapter VII of her book, Incidents in the Life of a Slave Girl, 1861. ← Forgiveness or Revenge, Love or Hatred? Thank you so much for visiting my website. My neglect of blogging has been greatly embarrassing to me. You’re continues to be always interesting and this story looks like quite a find doesn’t it. Sympathetic white people probably were not all that uncommon but their sympathy rarely led to action perhaps? I suspect that’s right Tom … it’s hard to stand up for what you believe is right, particularly in such a violent atmosphere. And, no need to apologise. I’m not getting around the blogs as much as I’d like either. Oh, me too, there are so many great blogs around now, I have trouble keeping up. I have a book on my TBR that was authored by a peasant under the Russian tsars that is a rare example of the underclass having a voice – and even though there may have been editing that influenced the final book, it still has value as a testament to what went on. Yes, you’re right Lisa. There was a law, because, funnily, they feared that slaves being able to read might result in threats to the slave system! Learning to read was therefore an act of rebellion. I must read more of the anthology. I’ve only dipped into it. WG: Yet again – many thanks for alerting me to books/writers hitherto unknown to me! Have now downloaded a copy of Harriet JACOBS’ book! Oh good for you Jim … I don’t have the time right now to read the lot. Tell us what you think when you’ve read it. I’ve had her memoir on my TBR for ages, but your reminder does make me want to move it up the stacks for sure. Of great interest, too, is the story/week offering: the one which comes up for this week also looks intriguing, so I’m going to give them a try too. Oh good buriedinprint. I read very few last year though I spy a lot I want to read. It’s introduced me to some wonderful stories and writers. If you liked this excerpt, do read Jacob’s INCIDENTS IN THE LIFE OF A SLAVE GIRL. It is great. I used it regularly when I was teaching. Thanks Marilyn … It’s certainly on the list! I can imagine its value in teaching. It has been a long time since you’ve done and LOA story! I’ve been meaning to read Jacobs’ book for ages. I hope one of these days I actually get to it. She sounds like a really fascinating woman. It had, Stefanie, and I’m sorry about that as I enjoy the service. Glad you liked seeing this one appear! I particularly like the historical memoir/essay ones. Heartbreaking! Thanks for thIs. Last year I read The Long Song by Andrea Levy which dealt with slavery in Jamaica in a delightful if terribly wrenching way. It a well worth a read as well. Oh thanks Catherine. I remember when The long song came out. I don’t think I bought it, but it had some good reviews. I had forgotten it was about slavery. I’ve read her Small Island and liked it. I have just seen the movie 12 years a slave, based on another mid-nineteenth century memoir by a slave. Heart breaking is not the word. It’s an horrendous, terrifying tale and clarifies even more the conundrum faced by Morrison’s Seth in Beloved! I think I’m looking forward to seeing Twelve Years a Slave, though not sure. But I do love Chiwetel Ejiofor (tried to see him on the stage in Lumumba but failed!) and will most probably see it. The syntax in The Long Song was wonderful. Beloved is almost a must I think Catherine – well as much as one must read anything! I’ve read it twice, and would willingly read it again. As for 12 years a slave, it is very confronting, so much so that it distressed my husband immensely. He’s not as tough as I am when it comes to confronting unpleasant movies – well, unpleasant realistic ones, anyhow! Murder and mayhem in action movies are OK! Escapist violence, in other words, seems ok, but realistic violence isn’t. I’m pretty much the opposite!